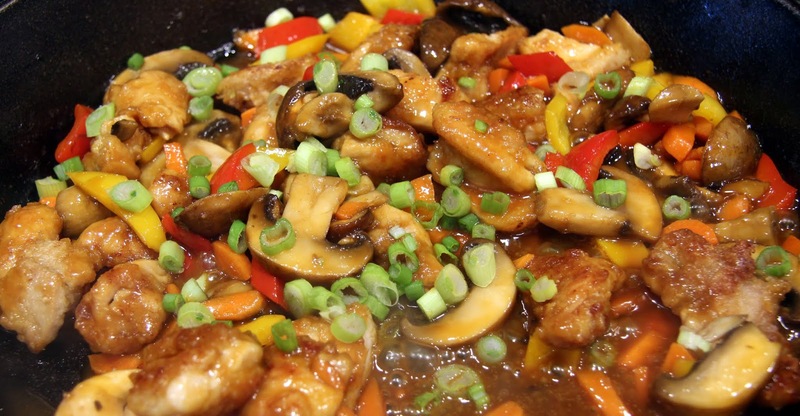 If you are a fan of this classic Chinese dish you must try this at home! I know, I know, there are a lot of ingredients and a lot of steps but I promise you it’s worth it. This was one of those times I did a little happy dance because I was totally craving it and it turned out just exactly like I wanted it to. 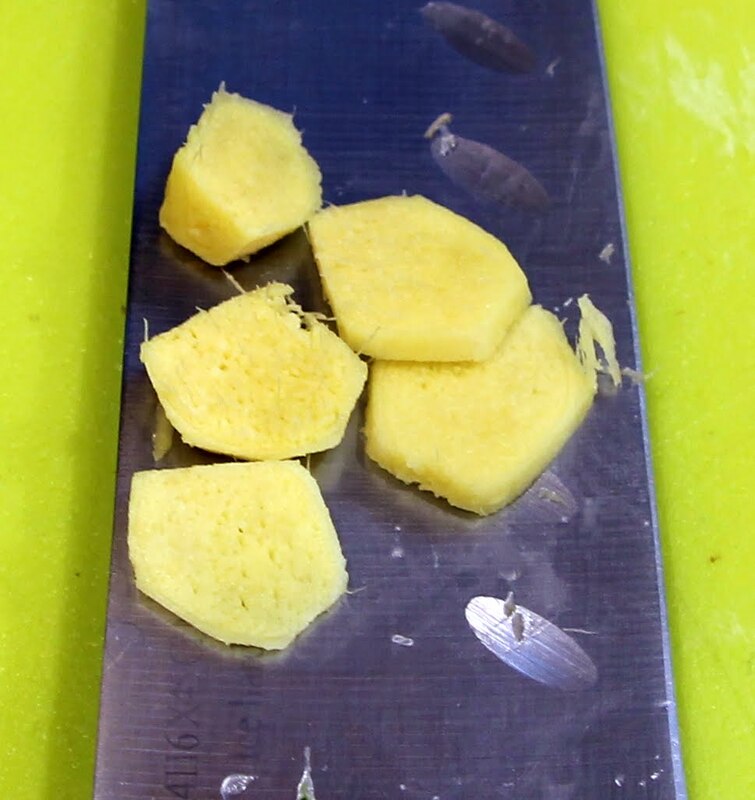 And, while it’s not without some fat, salt and sugar, I don’t think I have to tell you how much better it is for you than any restaurant or take-out version. Make sure you read through all the instructions before you begin to get an idea of the timing involved (you should really always do that with any recipe). 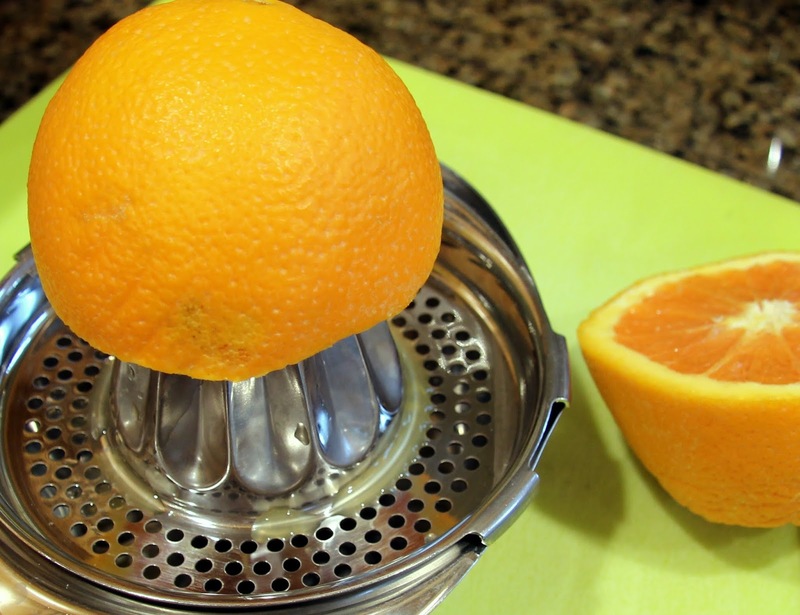 I didn’t add orange peel, as is traditional because Bob doesn’t like a strong orange flavor but if you do, by all means, add a little orange zest! He loved this too, by the way, and girls loved the crispy chicken without the sauce (a little too spicy for them). You will have sauce left over so just reserve it in the fridge for later use. I actually used the rest of mine last night tossed with some egg noodles and veggies – delicious! 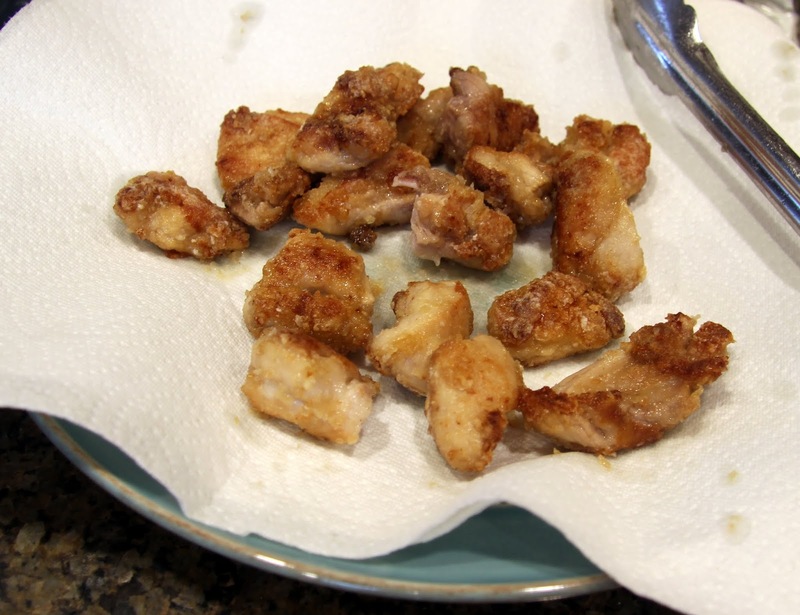 Transfer to gallon size ziplock bag or leave in bowl and add chicken thighs. I like to use a ziplock for two reasons. 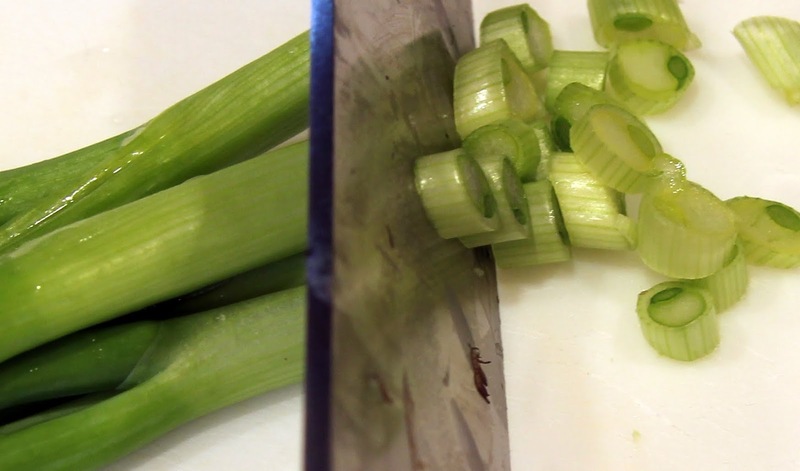 First, if you make sure you get all the air out, it marinates more efficiently and second, it’s easier to find space for it in the refrigerator. 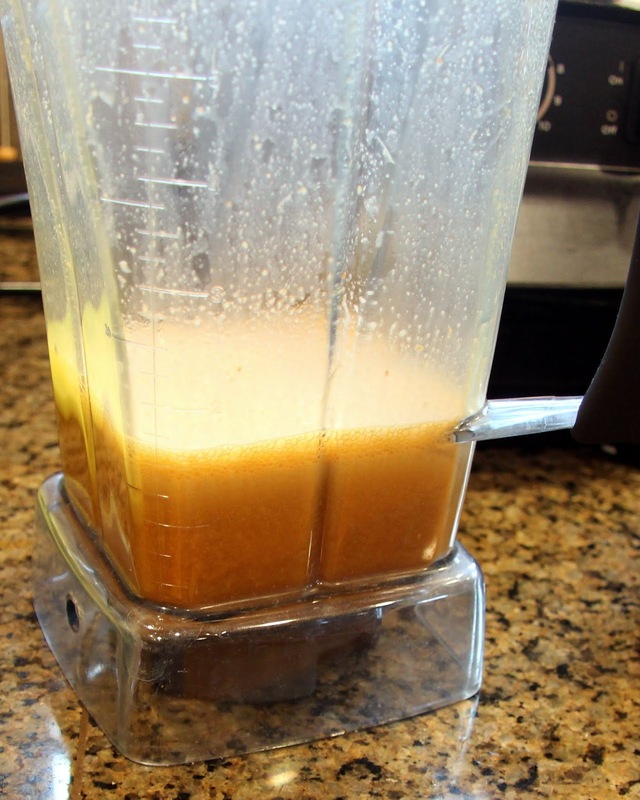 Refrigerate for at least one hour and up to 8 hours. 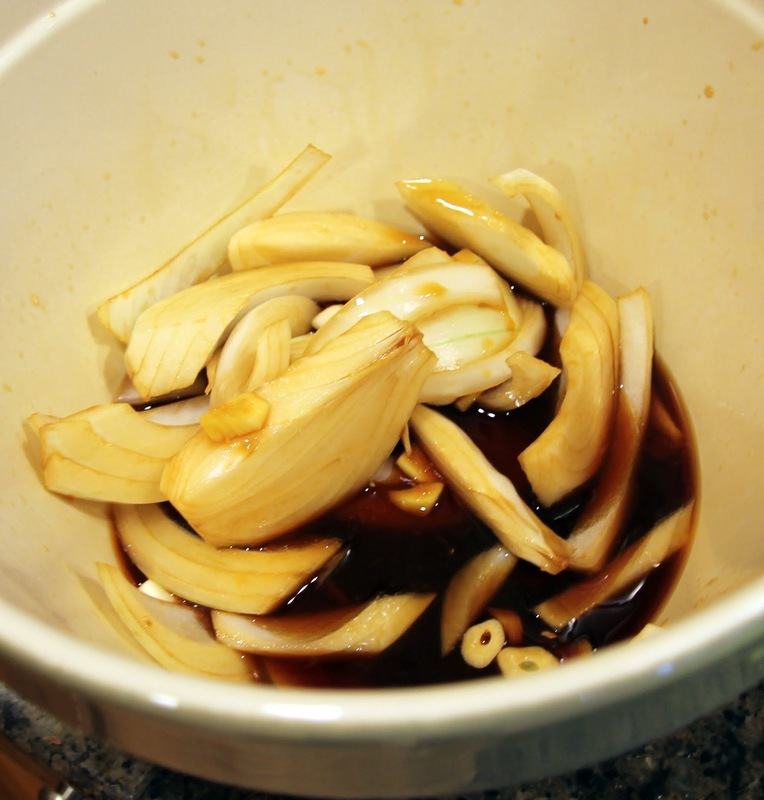 I think I let mine marinate for 1 1/2 hours and that was plenty but if you have more time that’s great too. 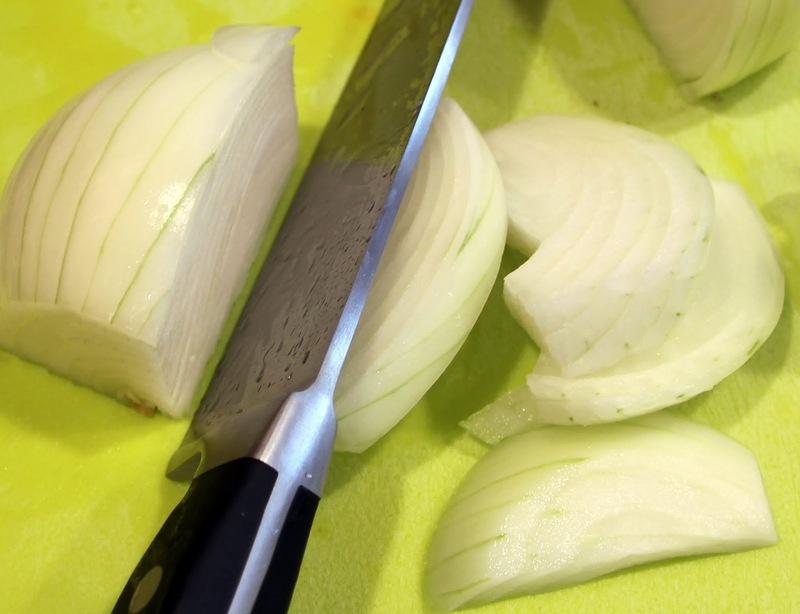 Start the sauce about an hour before you’re ready to eat. 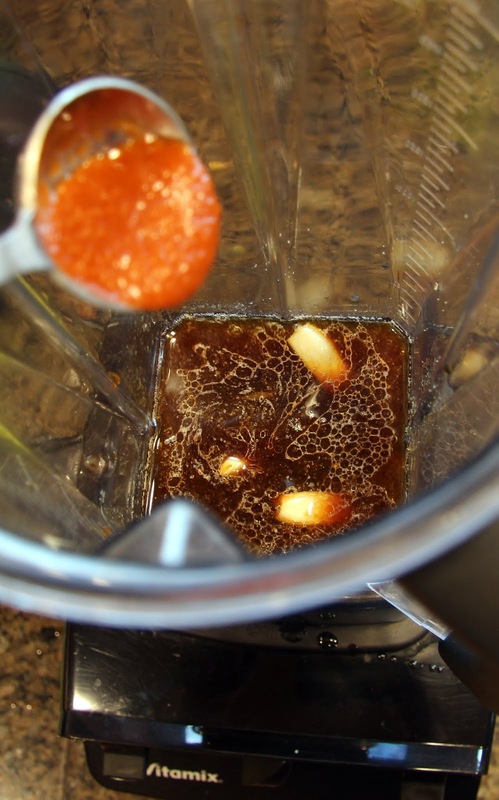 In a blender or food processor, combine orange juice, soy sauce, ginger, garlic, sesame oil, brown sugar and Sriracha. 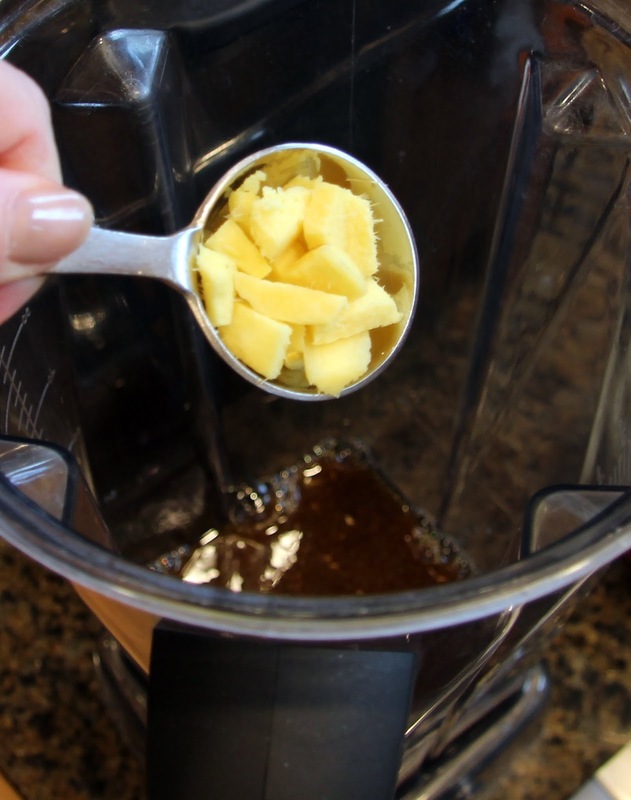 Blend until smooth and there are no large chucks of ginger or garlic. 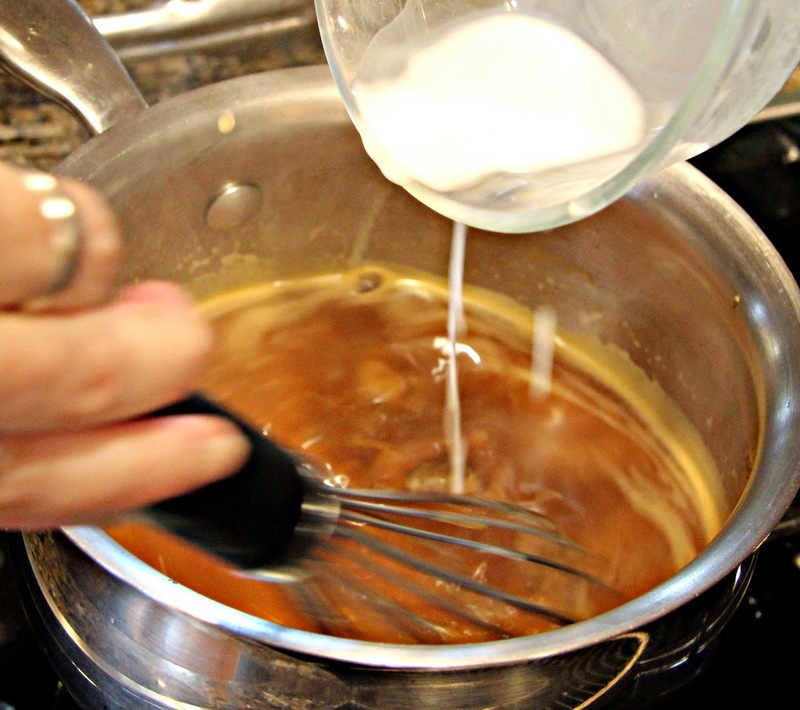 Transfer to a saucepan and set on medium heat, stirring occasionally, while you prepare the chicken. 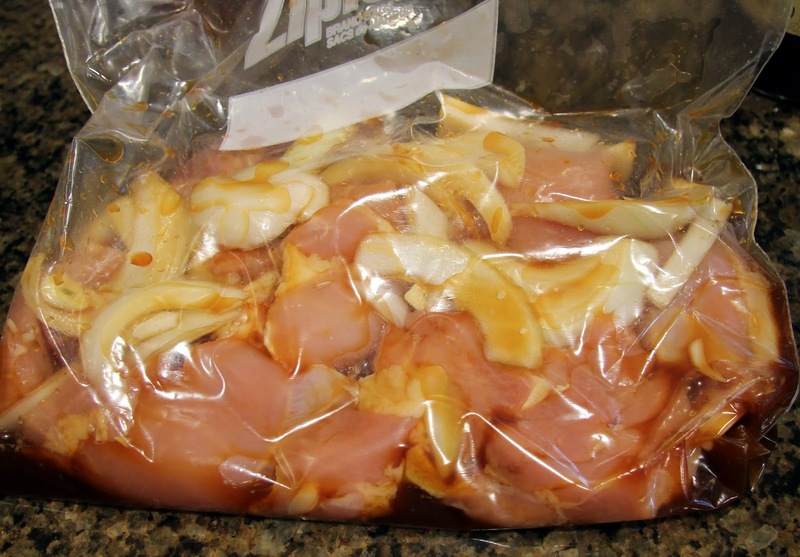 Before cooking the chicken, remove from marinade and dry it thoroughly with paper towels so that it does not steam in the pan. 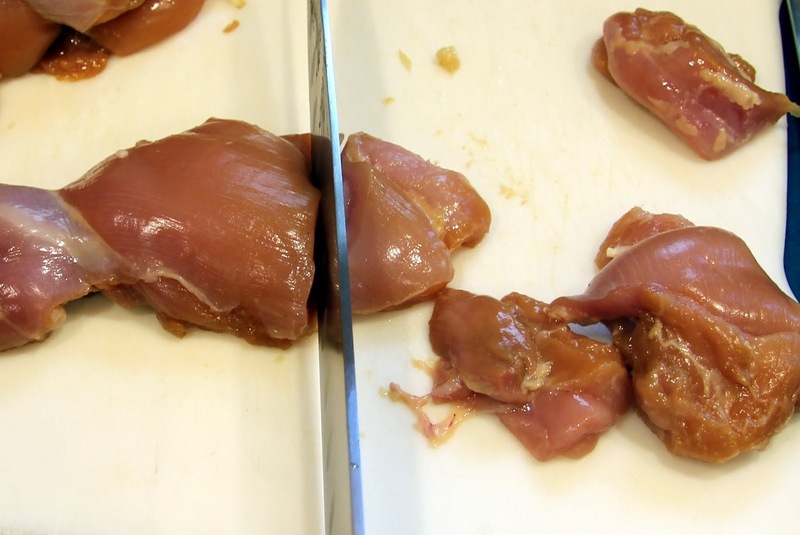 Cut chicken in 2 – 3 inch pieces, trim fat as needed at this time. 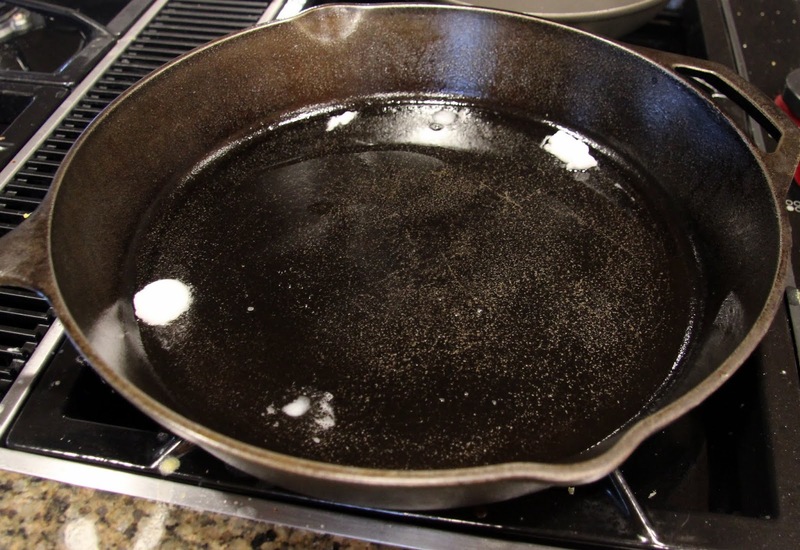 Preheat large, heavy skillet on medium-high heat. 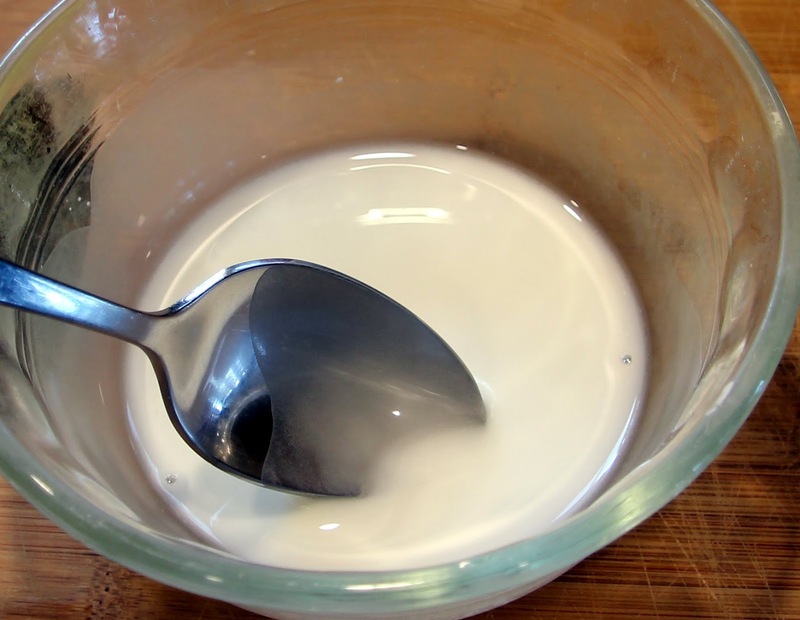 Add coconut oil and allow it to heat until very hot, if it begins to smoke, reduce the heat a bit. 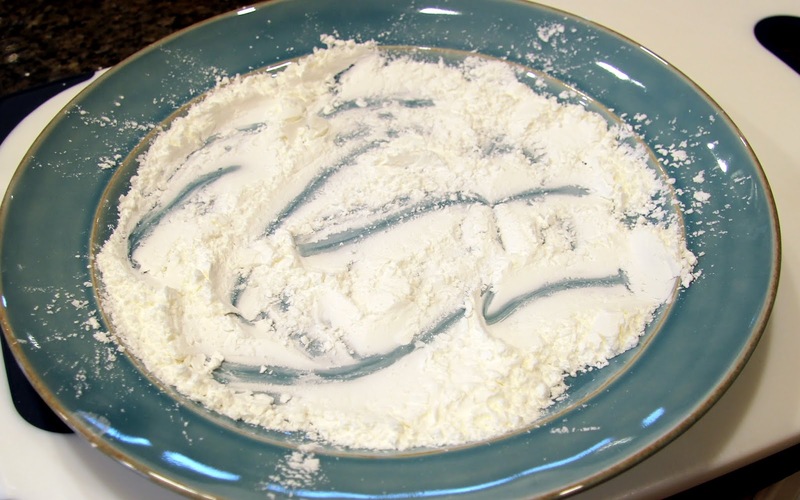 Sprinkle about 1/4 cup cornstarch on large plate or other work surface. 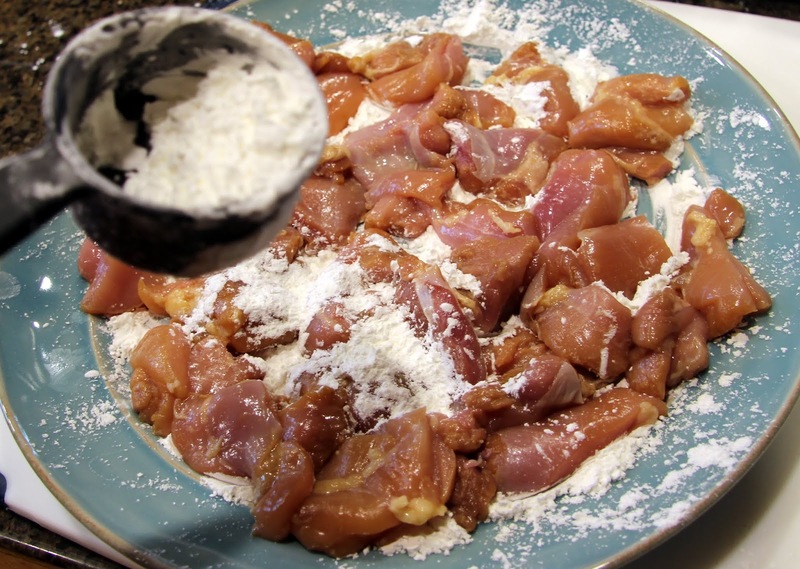 Place chicken pieces on the plate then sprinkle the remaining cornstarch over the top and lightly toss so each piece of chicken has a thin layer of cornstarch on the outside. 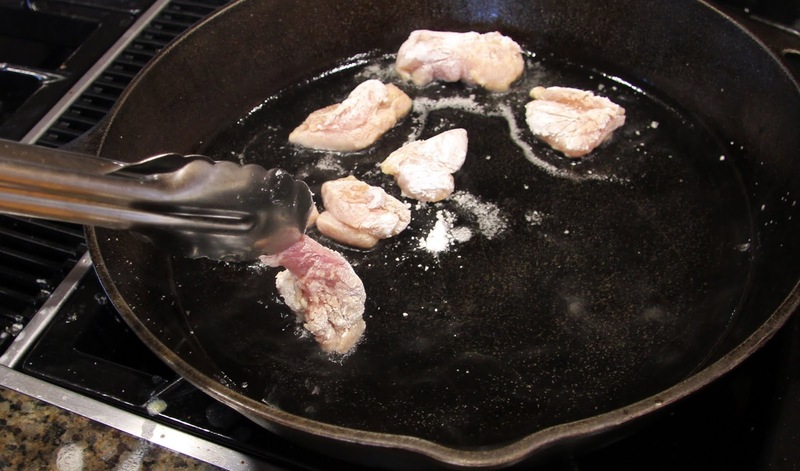 Using tongs, gently place chicken in pan. It should be hot enough that the chicken begins sizzling as soon as it goes in, if it’s not, allow it to get hotter before adding the chicken. 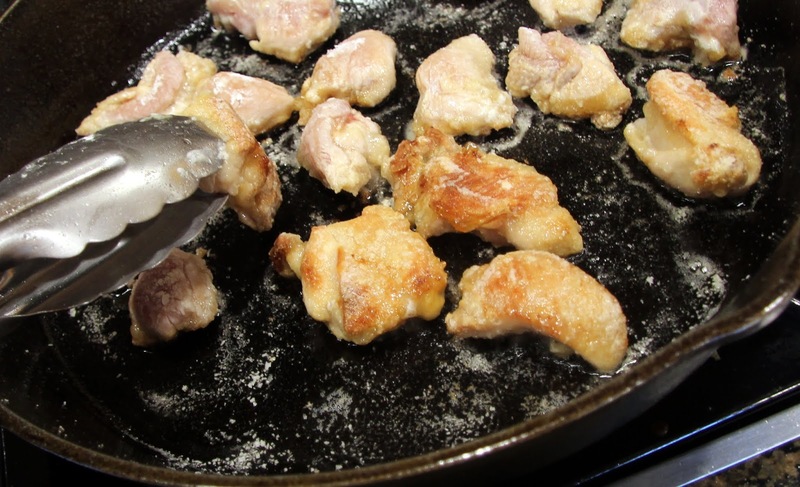 You may need to do this in two batches, as I did, using only half the chicken at a time so you don’t crowd the pan. Leave the chicken to cook for at least 4 minutes before checking and do not turn it over until it is a nice golden brown. 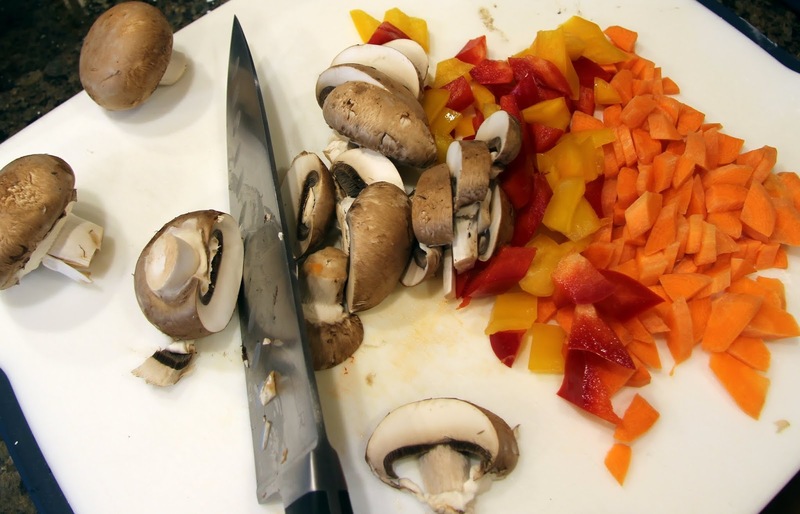 Meanwhile, chop and slice your carrots, peppers and mushrooms. 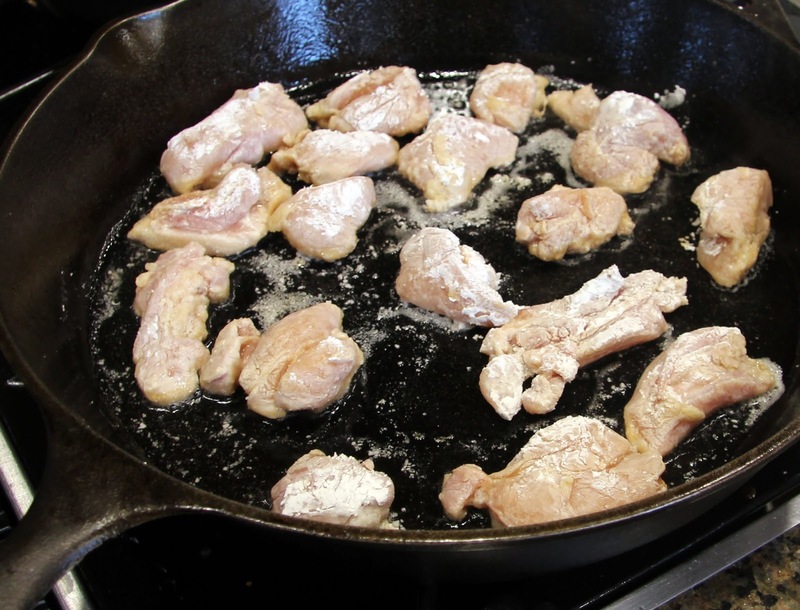 When ready, turn chicken and allow to cook another 4 – 5 minutes until both sides are golden brown. 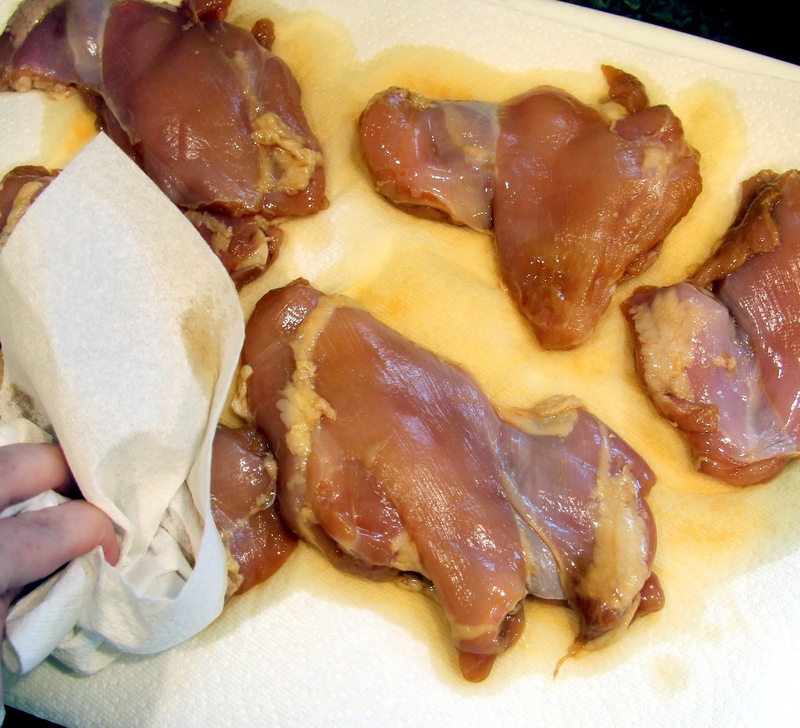 When chicken is cooked through, transfer to a plate lined with paper towels to drain excess oil. 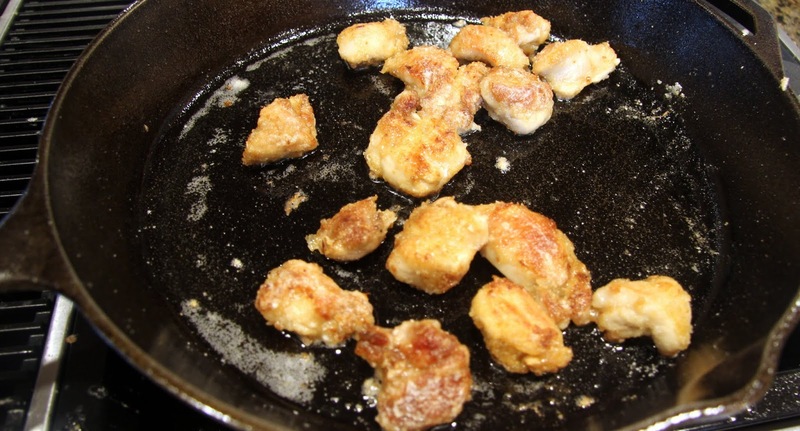 Add more oil to skillet, if needed, and cook the remaining chicken. Set aside while you finish your sauce. 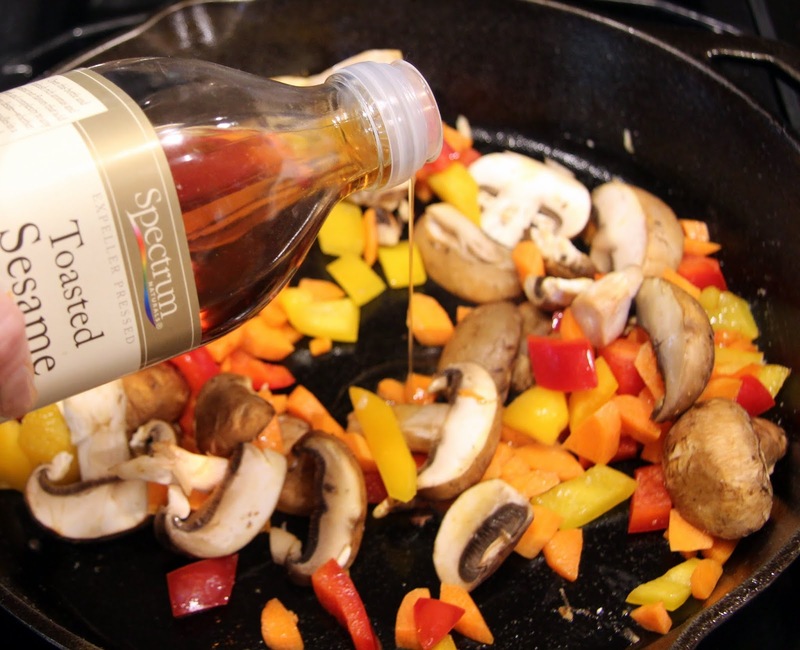 Add veggies and sesame oil to skillet and saute on medium-high heat until just cooked through, stir occasionally. You can finish your sauce while they are cooking. 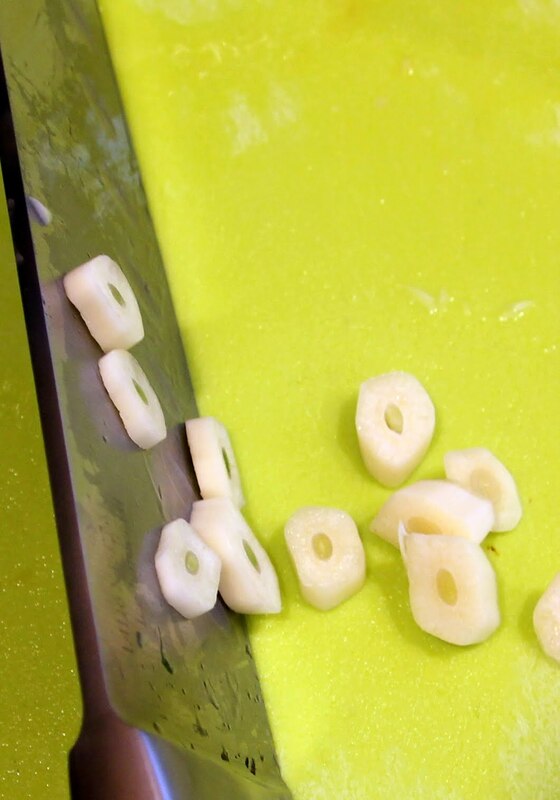 To thicken the sauce that should be heated to a simmer by now, make a slurry by combing 1 TB of cornstarch with 1 Tb of water, stir in a small bowl until smooth. 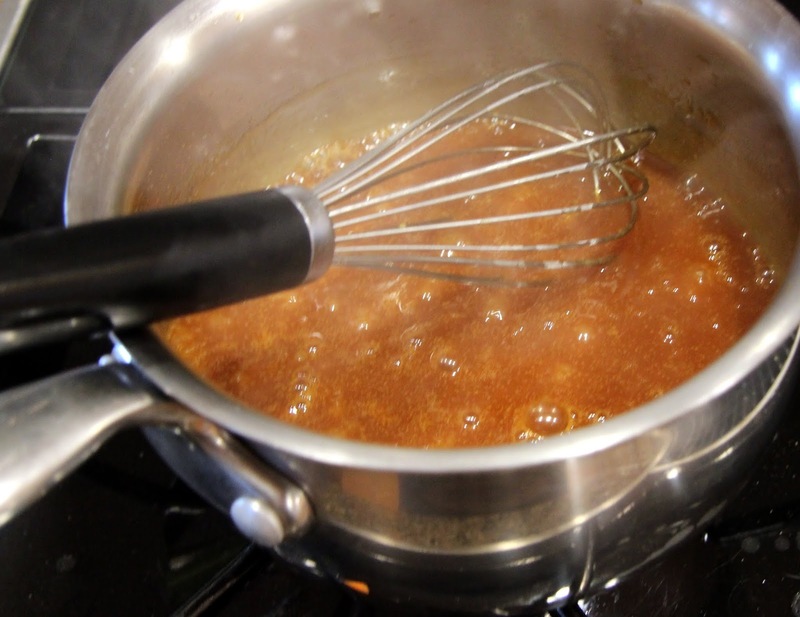 Increase heat to medium-high and bring sauce to a low boil. 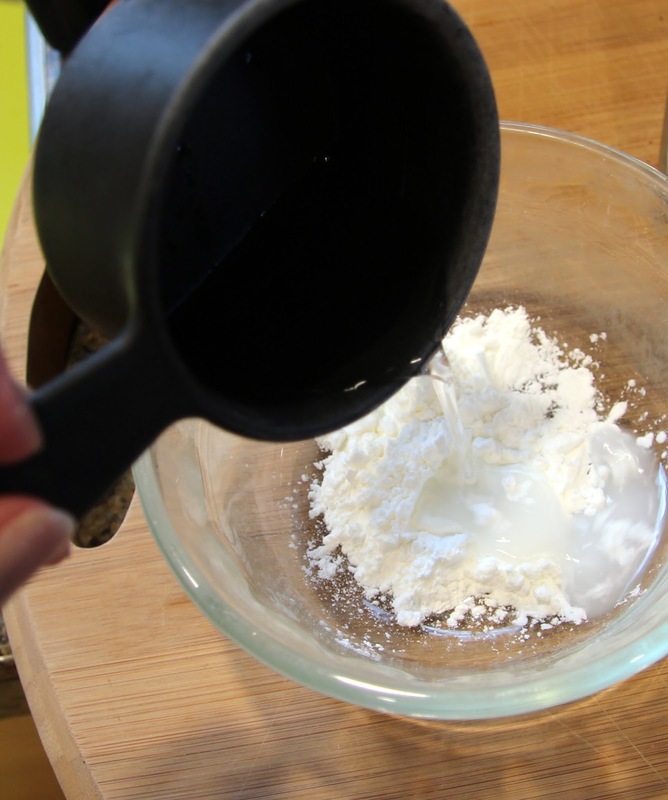 In a thin stream, stirring constantly, add cornstarch mixture until fully combined. 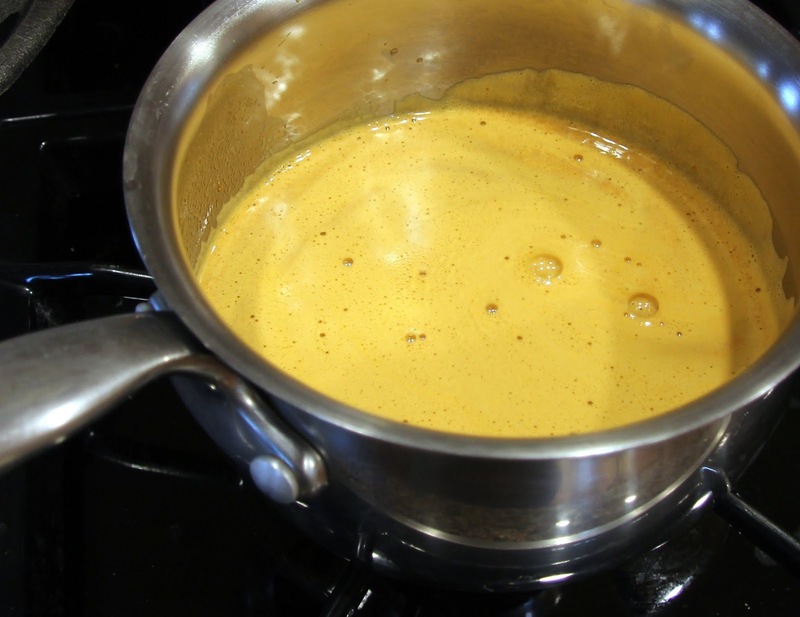 Reduce heat to medium and allow to cook for about 5 minutes, or until thick and glossy, stirring occasionally, then reduce heat to low. 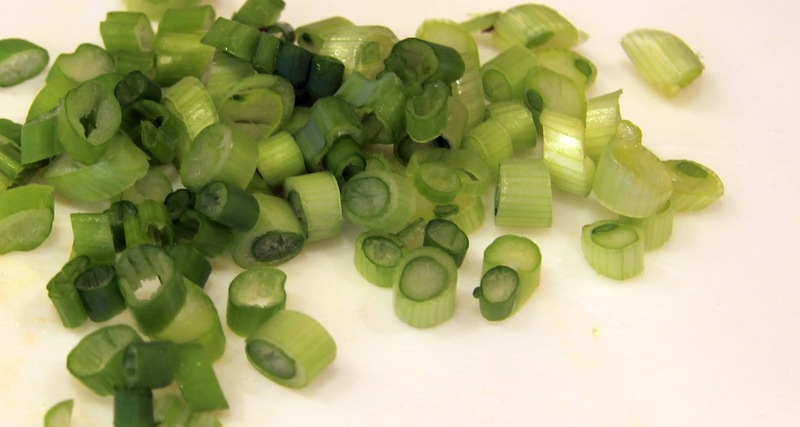 Trim ends, then slice green onions. 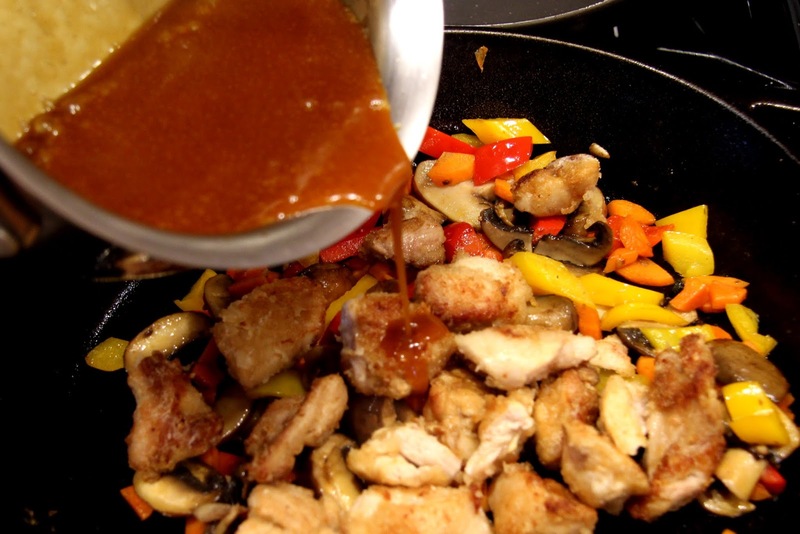 Add chicken back to skillet with veggies, stir in enough sauce to coat chicken and veggies. Reserve the rest in the fridge for later use. 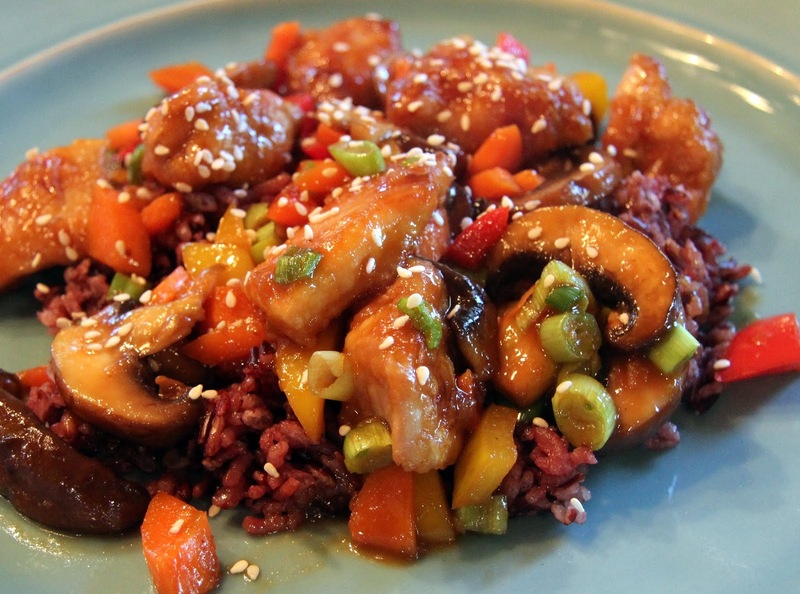 Serve immediately over rice or noodles and sprinkle with sesame seeds. 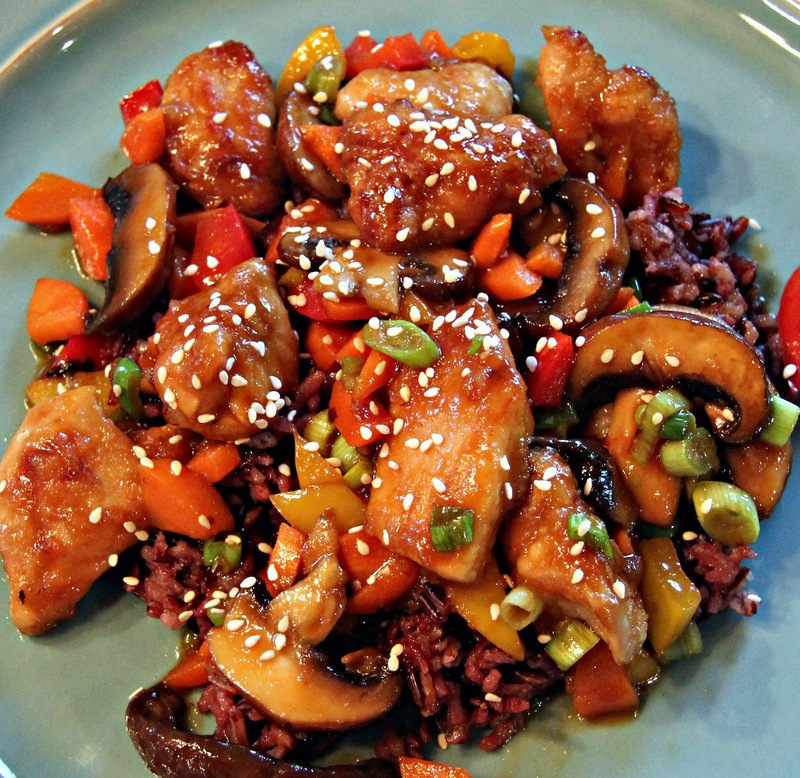 I used black rice – if you haven’t tried it, I highly recommend it. It’s got great flavor and more nutrients than white rice. I keep seeing this quote from Fred Rogers pop up on Facebook. It really is a silver lining in the face of such tragedy that was experienced in Boston yesterday. Many of my friends also posted messages about being the light outshining the darkness in the world… I am blessed with wonderful friends. That’s the only place to go from here. Be the light, be the helpers, pray for those who grieve.